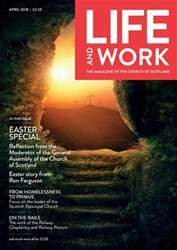 Digital Subscriptions > Life and Work > April 2018 > How are you with God? In his final column, the Rt Rev Dr Derek Browning highlights the unique selling point of the Church of Scotland. AS a student for the ministry I was attached to Hope Park Church, St Andrews for my final placement. Bill Henney was the peerless parish minister there, and the congregation boasted several luminous academics from the University of St Andrews. The Very Rev Dr Hugh Douglas was associate minister in the congregation, and I learned much from his humorous, gracious and perceptive style. Sadly he died in that year, and his funeral was held in the Church.